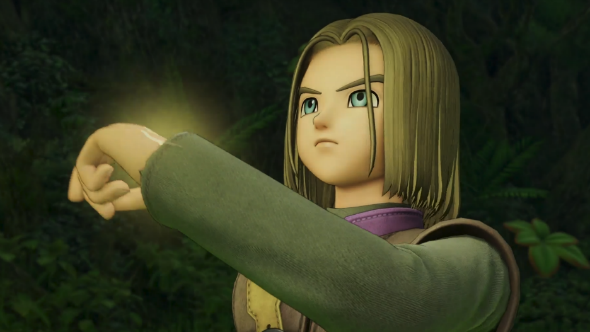 Dragon Quest XI: Echoes of an Elusive Age just got a new trailer ahead of its Western PC release at Square Enix’s E3 press conference. We already knew that the Dragon Quest game (which definitely shouldn’t be confused with Dragon Age, as I have totally not done twice already today) would be being released for PC and in the West, but it’s always good to have a new trailer to go take a look at while you wait. Speaking of the trailer, it’s surprisingly upbeat at times. Despite the Luminary being on the receiving end of a monologue about how harsh their life has been so far – and then taking part in a battle against the undead – it’s all quite strangely celebratory. Keep up with all the new E3 announcements with our list of upcoming PC games. The trailer ends on what seems to be the Luminary’s rag-tag and slightly confusing band of allies. There seems to be about one capable fighter in the whole group, other than the protagonist, and the group also contains a little girl and an old man. Dragon Age XI is coming to PC, PS4, and Xbox One, in North America and Europe, on September 4, 2018.